Huawei unveils Freelace wireless in-ear headphones | What Hi-Fi? 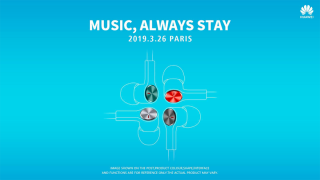 Huawei has unveiled a new pair of in-ear headphones at its launch event for the P30 series smartphones. Named Freelace, they're a neckband design with magnetic buds and will be available in the four colour finishes seen in the promo shot above. Promising 18 hours of playback with a full charge, including four hours from only five minutes being plugged in, their design is intriguing in that one of the buds is removable to reveal a USB Type-C connection that can be used for pairing and charging with your phone. Little else was revealed at the event, other than their retail price of €99, but we will endeavour to have a pair for a full review as soon as possible. For those after true wireless earphones, however, Huawei also launched its FreeBuds Lite – an update on its existing in-ears – which come in a battery case and claim to offer 12 hours of continuous playback. They will retail at €119.